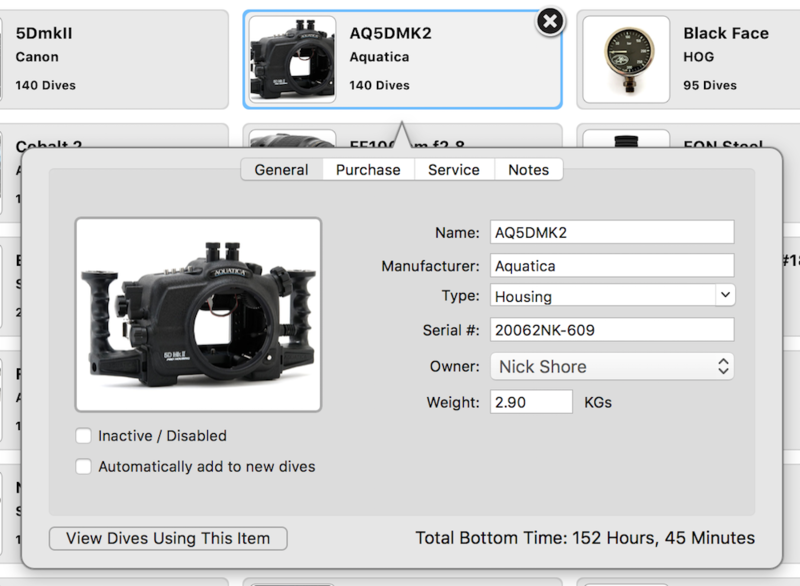 MacDive can automatically assign your Diver (and therefore your name!) to dives. It does this by checking the owner of the Dive Computer you are downloading. This means that if you download dives from multiple computers for the members of your family you can automate who new dives get logged as. Once you've set up a Diver and completed your first import, you will find a piece of Gear has been created for the dive computer. Open the Gear Inspector and you can change the Owner. Set it as your diver, and subsequent downloads from this device will automatically be named for you. For any existing dives that do not have you as a Diver, you can go to the main Dives view and select them all. Open the Dive Inspector and under the General tab change the Diver. Doing so will update all of the selected dives.